(Seychelles News Agency) - Calling the attack a ‘heinous terrorist act,’ Seychelles President James Michel sent a message of condolence on Friday expressing his indignation and sadness after more than 80 people were killed as France celebrated its national day on Thursday. At least 84 people have been confirmed dead after they were mowed down by a truck while watching a fireworks display on the palm-lined Promenade des Anglais in the French city Nice on Bastille Day. In his message President Michel expressed his condolences and solidarity to President Francois Hollande following what has been termed a terrorist attack. “On behalf of the Seychellois people and government, I strongly condemn this repugnant, inhuman and unjustifiable act and would like to express my solidarity,” said Michel. “This appalling act of terrorism is not only a cowardly attack against France, but it also compromises the values ​​of peace, tolerance and freedom which our peoples are attached to,” he said, adding that the people of Seychelles feel the pain and suffering of those affected. 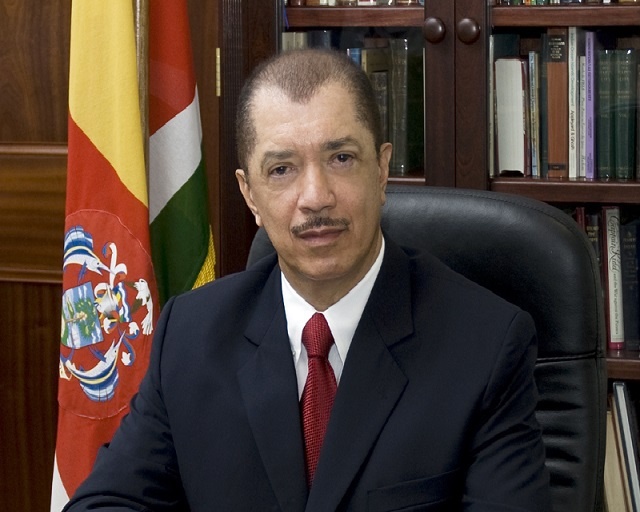 The Seychellois Head of State has also expressed the need for a concerted effort to fight terrorism. “More than ever, the repeat of such terrorist attacks here and there calls for the uniting of our efforts to engage in a no mercy fight against terrorism, which constitutes a serious threat to security, peace and stability throughout the world,” said Michel. France has declared three days of national mourning as of Saturday. Aside of the 84 people who have been confirmed dead some 18 others are said to be in critical condition. The driver of the lorry who ran down the crowd was shot dead by the police. According to an AFP article, the French Prime Minister Manuel Valls has said that the government wants to extend a state of emergency currently in force for three more months -- until October. The state of emergency was put in place after the Paris attack in November last year, claimed by militant from the Islamic State group, which killed at least 130 people. A law extending increased powers for the police will also be put before parliament next week, adds the AFP report.